The Australian Food Timeline used to be at this address. But as it grew, and more and more people started visiting, it started to get r-e-a-l-l-y s-l-o-w and kept throwing errors. Annoying for everyone. So we’ve moved the timeline to a new server and now it’s super speedy. 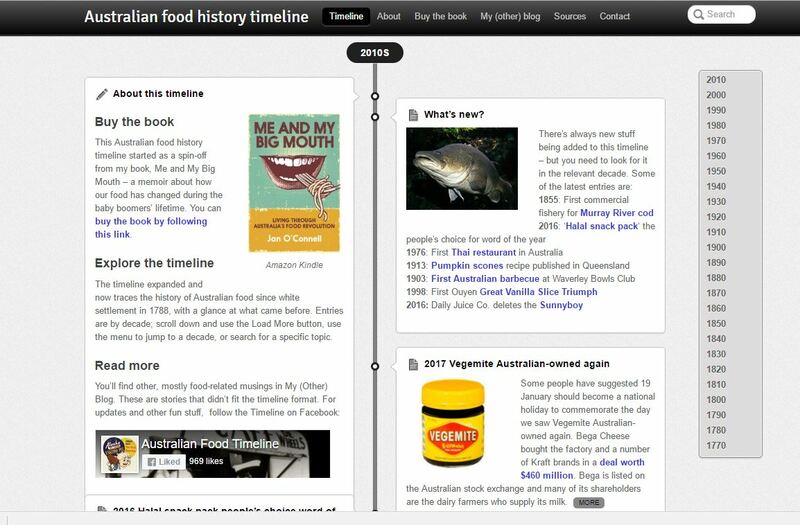 At the same time, we’ve changed the address to australianfoodtimeline.com.au (seemed logical). Check it out and see how fast it is. You might like to update any links or bookmarks you had to pages on meandmybigmouth.com.au Those links will now (probably) give you a redirection message. To find a page you’re looking for, the easiest thing is to go to the new address and use the internal search function. The Me and My Big Mouth site is a place for my general blogging – still mostly food related. 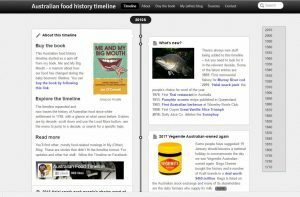 I’ll be sharing updates to both sites on my Australian Food Timeline Facebook page as well. Oh…and you can still buy my book by following this link.